The Journal welcomes the submission of manuscripts that meets the general criteria of significance and scientific excellence. Papers will be publish approximately two (2) weeks after acceptance. 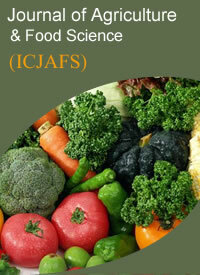 All articles publish in ICJAFS will be peer-reviewed. Interlink Continental Journal Of Agriculture and Food Science (ICJAFS) will be publish monthly (one volume per year) by Interlink Webcrawler Journals. Prospective authors are invited to submit Research Paper, Survey Paper, Informative Article, Case Reports, Review Papers, Comparative Studies, Dissertation Chapters, Research Proposals or Synopsis.